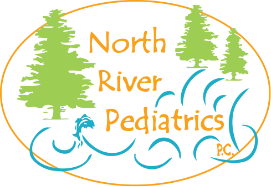 North River Pediatrics accepts all major insurance programs including Regence Blue Cross Blue Shield, PacificSource, Moda, Providence Health Plans, United Healthcare, Aetna, Atrio, and several others. We also accept Oregon Health Plan, TriCare, and ChampVA plans. Although we are contracted and credentialed with all of the above insurance companies, it is YOUR responsibility to check with your insurance company to ensure Dr. Gallant is included in the specific network and individual plan you are signed up for, as well as details regarding co-pays, deductibles and coinsurance. Our office will bill primary and secondary insurances provided we have all required information to do so. We request that you bring you insurance card to every visit to ensure we have the most accurate and up to date information. If you do not bring your insurance card with you and we do not have updated insurance information, you will be required to pay for the visit before being seen. All co-payments are expected at time of service. For your convenience, North River Pediatrics accepts cash, personal checks, and Visa/MasterCard debit and credit cards. Surcharges will be assessed for returned checks. All outstanding balances are expected to be paid within 30 days. Our office will not split balances for divorced / separated parents. Whoever has signed our patient consent forms is responsible for payment.